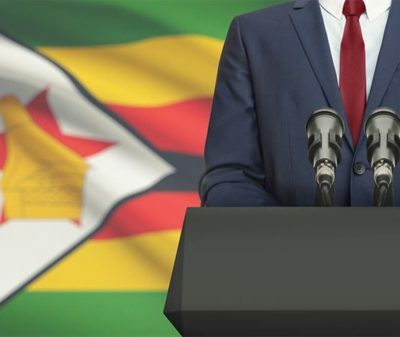 Zimbabwe recently delivered its much-awaited 2019 national budget on the back of President Emmerson Mnangagwa’s vow to open up the economy under his new mandate. Mnangagwa was appointed as president a year ago after a military coup overthrew Robert Mugabe, who had ruled the country since its independence in 1980. The new leader promised “radical economic reforms” at his inauguration in August, following his violently disputed win over the opposition. Mnangagwa’s new cabinet was announced a month later, and included the appointment of former African Development Bank chief economist and vice-president Mthuli Ncube as finance minister. The budget that Ncube delivered on November 22 will be of interest to the governments and investors that have been keen to re-engage with the Southern African country, but have thus far maintained a restrained outlook in the midst of its ongoing currency crisis. GTR speaks to Jason Robinson, Africa analyst at consulting firm Oxford Analytica, for his thoughts on the administration’s promises, its potential for reform and the risks facing investors. GTR: What are the key economic promises of the new administration, and should we believe them? Robinson: Alongside a broad ‘transitional stabilisation programme’, headline measures in Ncube’s budget include efforts to trim the large public service wage bill – which consumes 90% of budget revenues – as well as a commitment to curb ballooning government spending and repay almost US$2.5bn in arrears to international financial institutions. The latter is crucial if the government wants to re-engage western investors: the ‘Lima process’ of clearing arrears is already two years behind schedule, although IMF debts of US$108mn have been paid. Ncube’s efforts in recent months to tackle the debilitating multi-currency regime have not proceeded as planned. Mixed official statements on the controversial ‘bond notes’ and the introduction of a new 2% money transfer tax prompted panic-buying, rising prices and the government ultimately caving in amid both business and public protests. As such, the problematic parallel currencies regime will persist – for the time being at least. The fear is that this will be mirrored across the entire reform programme, given Ncube, a technocrat without a political base, does not have the full support of elites in his own party, Zanu-PF, who will likely push back against wide-ranging changes which imperil their interests. GTR: How is Mnangagwa’s administration different from his predecessor’s? Robinson: Since Robert Mugabe’s ouster in November 2017, Mnangagwa has repeatedly emphasised his administration’s push for foreign direct investment (FDI) and the wish to re-engage western investors. The government has, quite successfully in many respects, launched a major charm offensive and declared that Zimbabwe is ‘open for business’. No doubt many readers will recognise Mnangagwa in his famous Zimbabwe scarf that he has donned on trips abroad to the World Economic Forum in Davos, etc. Soon after coming to power, Mnangagwa’s government notably announced an overhaul of indigenisation policies on most sectors – bar platinum and diamond mining – previously a major factor for decrease in FDI since 2010. There were also mooted changes to the controversial land reform programme – increased security of tenure, more predictability in legislation and a land audit to identify multiple ownership and idle and unutilised land – as well as positive soundings on the return of white commercial farming. The latter – although this is actually a remote prospect – was particularly important in the context of improving relations with the UK. Similarly, there was an investment conference in London in March, attended by a myriad of Zimbabwe government ministers, although notably post-event investment pledges were absent. However, Mnangagwa’s promises of democratic inclusivity for the July 30 elections, including the return of western observers for the first time since 2002, was undermined after a post-poll crackdown on civil society and opposition activists. This significantly undermined the reform narrative at home and abroad and led to claims that nothing has changed since Mugabe’s tenure, only the rhetoric. GTR: Has the ruling Zanu-PF changed, or does the post-election violence show that the party is beyond reform? Robinson: The post-poll violence revealed what many had known prior to the election: Zanu-PF divisions and reform pushback did not end with Mugabe’s ouster. The post-poll violence was not only internationally embarrassing for Mnangagwa, but also raised questions about his authority as it was unclear who exactly orchestrated the violence. This goes back to a longstanding issue regarding competing centres of control between the government, Zany-PF and the military. The latter’s role has increased with many high-profile figures, including vice-president Constantine Chiwenga, crucial to Mnangagwa taking power. Internal divisions have not dissipated, and behind-the-scenes military figures are pushing to ensure that Mnangagwa serves a solitary term in office before giving way to an army-aligned figure (likely Chiwenga) or someone else. This raises notable instability risks over the medium term, which could also be complicated by the potential ill-health or incapacitation of Mnangagwa, Chiwenga or both, as there is no other clear successor in place. A future military coup cannot also be ruled out given many of the junior officers who helped propel Mnangagwa to power are dissatisfied at the lack of a post-coup improvement in conditions. GTR: What are the key areas for potential investment? Robinson: Minerals is probably one of the prime areas that Mnangagwa can use to entice foreign investors over the short-to-medium term. Zimbabwe has the world’s second-largest deposits of platinum group metals (PGMs) and chrome – after South Africa – and there are also opportunities in other areas such as gold, diamonds, coal and lithium. The possible unbundling of the Zimbabwe Consolidated Diamond Company (ZCDC), which has a virtual monopoly, could also emerge alongside a new government diamond policy. The government has also previously indicated its willingness to drop indigenisation requirements on diamond and platinum mining. However, minister of mines and mining development Winston Chitando appeared to pour cold water on this on November 26, which will come as a significant disappointment to many would-be investors. Such areas for investment come with notable risks, however, given the entrenched and opaque role of Zanu-PF and military-aligned elites. GTR: Is corruption still a major problem when considering investing in Zimbabwe? Robinson: Corruption and reputational risks persist, especially given the army’s influence across state institutions and sectors such as mining and agriculture. Relatedly, the next big battle for control within Zanu-PF and ruling elites is likely to be around new mineral resource revenues, such as new lithium finds. Businesses will need to exercise caution as unreformed and likely strengthened military elites operate as civilian businessmen. Additionally, personalities rather than regulatory and operational reforms have played an important role in securing new mining deals this year, with several being announced after meetings between executives and Mnangagwa himself. While Mnangagwa has made anti-corruption a major plank of his first administration, with former Mugabe allies arrested and anti-corruption courts set up, notorious figures retain prominent posts within the state, while tender processes are regularly ignored by government. Executive influence over the judiciary remains substantial, although the courts do exercise greater independence than may be expected given the Zanu-PF’s political dominance. However, anti-graft measures are still likely to focus on ‘Generation 40’ or ‘G40’ (a group of Zanu-PF politicians working to replace older officials of the party) figures associated with Mugabe, rather than a serious root and branch reform. Is this topic befitting? I don’t think so because there is nothing new about Zimbabwe! A human face has two cheeks and this is our scenario here.